Development of Indonesia’s resource-rich lands has brought wealth and prosperity, but not to everyone. With land-use decisions made far away in Jakarta, local villagers typically have little say and can lose the natural resources they rely on.  The CoLUPSIA project, a CIRAD-led initiative in partnership with CIFOR, trialed a new approach to land-use decision making; one which had all the stakeholders around a table discussing the short and long term benefits of different land management scenarios based on new large scale data. The researchers also collected detailed information on what land was allocated and used for, as well as social and biophysical characteristics. Yves Laumonier, a CIRAD scientist seconded to CIFOR, explained that with more accurate data and collective discussion, local rights could be strengthened, land conflicts reduced, and spatial planning made more efficient. The work has been taken up by local NGOs, the Ministry of Forestry and the Ministry of Planning in Jakarta and the team is looking to contribute to Indonesia’s new land-use planning and “One Map” initiatives. CoLUPSIA’s Participatory Prospective Analysis (PPA) and future scenario tools related to land use planning in Seram Island are useful for collaborative learning and emphasizing cooperation among the participants to reach the final consensus. I hope CoLUPSIA’s results can be integrated into district planning…we plan to conduct a seminar to discuss the potential of incorporating results into a district regulation proposal.